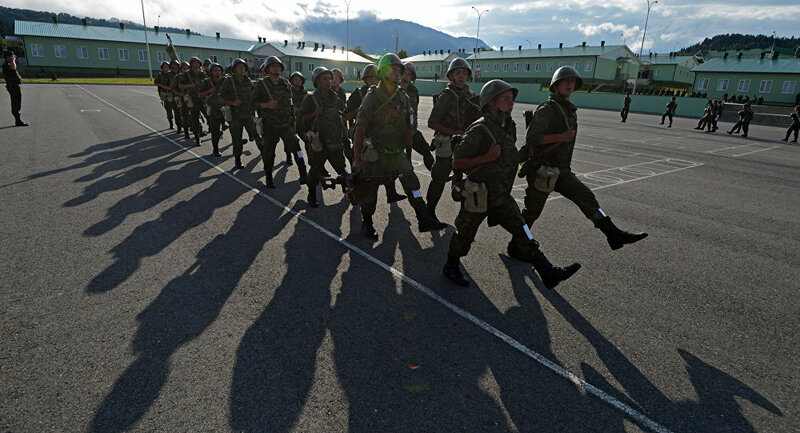 The modernization of South Ossetia’s Armed Forces military equipment will be brought to the level of the Russian 58th Army, which played an important role in the 2008 Georgia-South Ossetia conflict, the president of the breakaway republic, Leonid Tibilov, told Sputnik. TSKHINVALI The 58th Army was once part of Soviet Union’s Red Army and subsequently became a component of the Russian Ground Forces. During the 2008 conflict between Georgia and South Ossetia, the 58th Army crossed the border with Georgia and engaged in combat against Georgian forces, most notably in Tskhinvali. “Since the beginning of the full implementation of the Treaty on Alliance and Integration of March 18, 2015, the process of arms and equipment modernization of the Republic of South Ossetia will be launched to reach the level of the Russian Defense Ministry’s 58th Army,” Tibilov said in an interview. The agreement, of which Tibilov was speaking, is the cooperation treaty, under which South Osetia is due to receive some $145 million from Russia in the first three years. Under the treaty, Russia is responsible for formally managing border control of South Ossetia, as well as for its economy and military areas. The expansion of the Russian military contingent in South Ossetia is currently not being considered, President Leonid Tibilov told Sputnik. “The issue of the presence of a military base in the country is of current interest. Regarding an increase in the number of [Russian] military, I can say that the current contingent is capable of solving the tasks, therefore the issue of an expansion… is not on the agenda,” Tibilov said. In early 2009, Russia set up its 4th Military Base in South Ossetia, with two main compounds — one on the northwestern outskirts of the capital of Tskhinvali and another in Java, or Dzau, the second largest urban settlement in South Ossetia. The base was deployed to protect South Ossetia as well as the southern border of Russia.In August 2008, Georgia launched a military offensive against the breakaway republics of South Ossetia and Abkhazia, ending in a five-day war with Russia. Both regions declared their independence from Georgia in early 1990s and were recognized by Russia following the conflict. Georgia does not recognize the existence of South Ossetia as a distinct geographical and political entity.